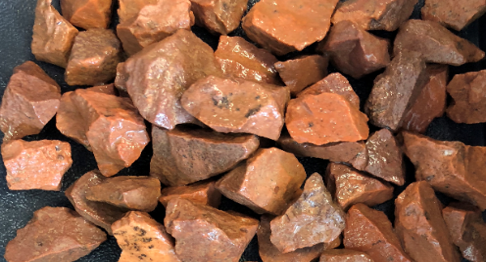 Maen Karne has a large selection of locally sourced decorative gravels and chippings including some environmentally friendly recycled chippings. We have a flexible delivery service with different methods to suit your needs. 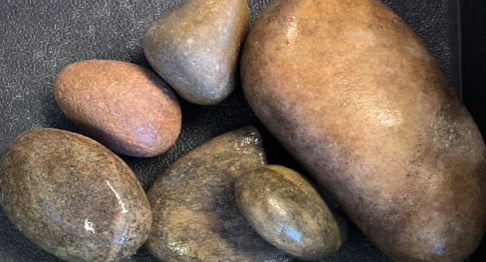 Our team will be able to give you advice on the best option for your project and can help with matching with the decorative gravel and chippings you already have. 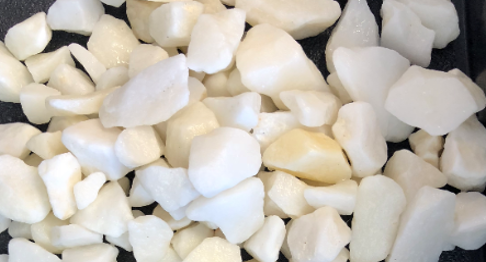 we aim to get a match that is close as possible as there could be some colour variations due to it being a natural product. The photo above is the decorative wet, when product is dry the colours are not as prominent. As this is a natural product there will be colour variants that cannot be predicted. The photo above is the 10mm grading and wet, when product is dry the colours are not as prominent. The photo above is the 20-30mm grading and wet, when product is dry the colours are not as prominent. 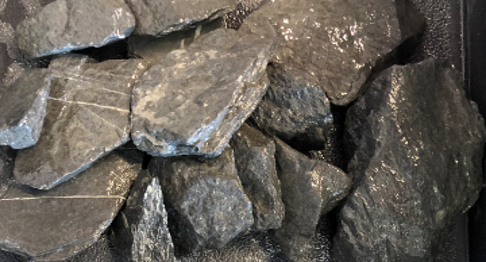 We also offer a Scottish cobble which is a 50mm – 80mm grading. The photo above is the 20mm grading and wet, when product is dry the colours are not as prominent. 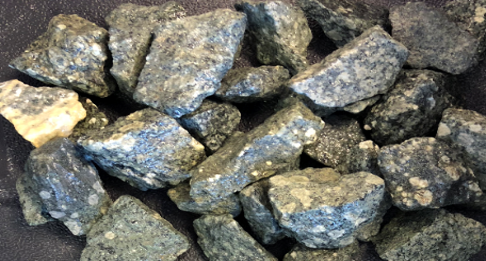 What can you use gravel and chippings for? 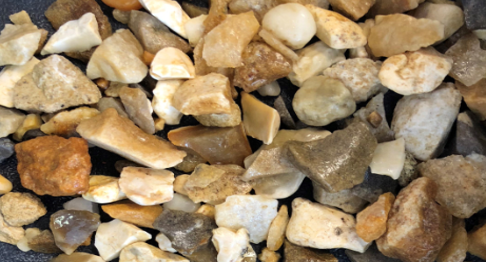 Our range of decorative gravel and chippings can be used for many different applications due to their versatile nature. Some of the more common uses are for driveways, footpaths, rockeries, planting boarders and general landscaping. The possibilities are endless! What is the best gravel and chippings for a raised bed or path? When you’re ordering for your raised bed or path you can use any of the products that we supply in our decorative range. 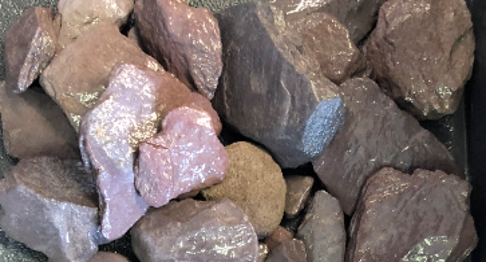 We can provide a matching service if you are looking to add more to already supplied gravel and chippings. We suggest that you use a 10mm to 14mm grading as this would be the most suitable for walking over with ease. We are always happy to help you pick the perfect product, just call 01726 862881. Your order of decorative gravel and chippings will be delivered in one of three ways. 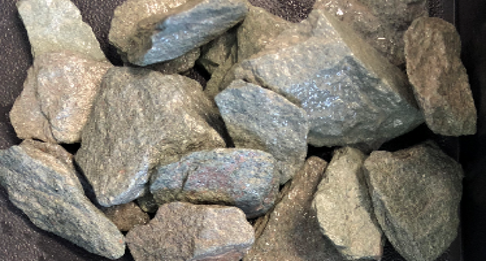 we offer deliveries in bulk bags at approximately 900kg, poly bags at approximately 25kg or loose loads by the tonne. If you only require a loose delivery of a small quantity, we offer smaller 1.2 tonne loose delivery. 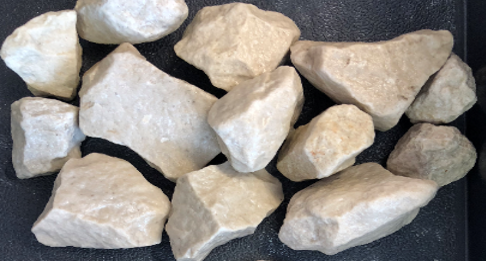 What is the best gravel and chippings for driveways? 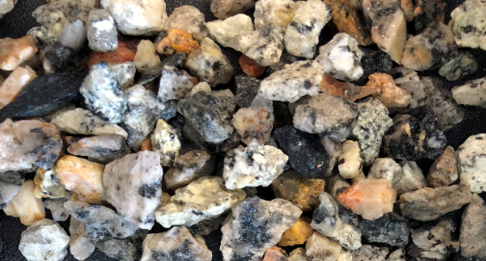 There isn’t a specific type of decorative gravel or chippings that you must use for a driveway, it will all be dependant on quality and finish required by each individual customer. 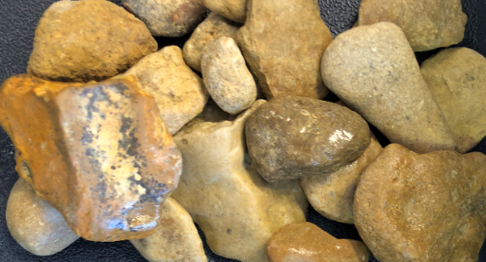 We would suggest that you don’t use any gravel or chippings that are smaller than 20mm grading, as this will help to stop the gravel and chippings from getting stuck in the tread in the tires. Give one of our sales team a call to discuss what the best option for you will be.